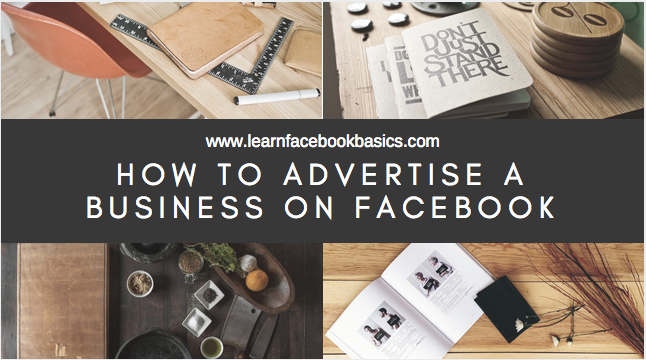 Do you know you can advertise your business on Facebook? According to statistics, two billion people use Facebook every month and one out of every minute people spend on their mobile is on Facebook, so, imagine the reach/coverage you could get and the customers you could pull. 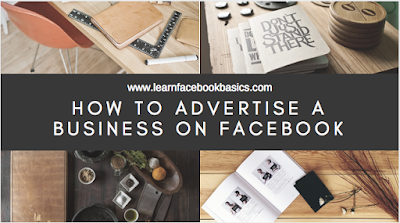 In this article, we'll be showing you how to advertise a business on Facebook. If you already have a Facebook business page, this would be easier and you can head straight to the Facebook Ads Manager to create your Facebook ad campaign. If you don’t yet have a business page, you’ll need to create one first. Learn how to create a Facebook business page here. Ensure choosing your campaign objective based on the most important metrics for your business and your goals for this particular advertisement. Have it at the back of your mind that for conversion-oriented objectives you can pay per action, but for exposure objectives you will have to pay for impressions. Custom Audiences: You can build your own audience of people who have already interacted with your business on or off Facebook and Facebook has a good step-by-step guide on how to do this. Lookalike Audiences: This lets you target people who are similar to your existing most valuable audiences. Here’s how to set-up a Lookalike Audience. As you make your selections, try to keep an eye on the meter on the right side of the page, which indicates the breadth of your audience selection, and the estimated chart of the reach daily. The next thing you should decide on is how much money you want to spend on your Facebook advertisement. You can decide on a daily or lifetime budget, then set the start and end dates if you want to schedule your ad to run in the future, or choose to make it live right away. You can get into details about how you want to spend your money using the advanced budget options. Bear it in mind that running your ad on a schedule may be the most efficient way to spend your ad budget, since you can choose only to serve your ad when your target audience is most likely to be on Facebook. One option available to you is to promote an already existing post. If you would prefer to create a new ad instead, first of all, choose your ad format, next, enter the text and media components for your ad. Make sure you conform to the Facebook ad image/video sizes for each format. Images for ads in the carousel format have a square shape, unlike images in most other Facebook ad units, which tend to be more rectangular. Note: You can crop your images as necessary while creating your carousel format ads. Thumbnail image size: Should match the aspect ratio of your video. Your thumbnail image may not include more than 20% text. See how much text is on your image. Use the preview tool at the bottom of the page to make sure your ad looks good for all potential placements (mobile, desktop news feed, right column, etc). When you’re satisfied with your choices, click the green Confirm button to submit your order, then wait to for an email from Facebook notifying you that your ad has been approved. Facebook can help your large, medium or small business grow. So start advertising today and see the difference!